Thailand Labour Minister, Police General Adul Sangsingkeo, presented the signed Work in Fishing Convention No 188, 2007 (WIFC) to Guy Ryder, director-general of the International Labour Organisation (ILO) in Geneva, on behalf of the Thailand government at the end of last month. The WIFC sets out binding requirements relating to work on board fishing vessels, including occupational health and safety, medical care at sea and ashore, rest periods, written work agreements, and social security protection. The WIFC also sets the minimum age of workers onboard fishing boats at 16, though an exemption is possible for 15-year-olds engaged in fishing industry vocational training. All those working on fishing boats must also poses valid medical certificates and be examined at regular intervals. While the WIFC states that accommodation on board fishing vessels ‘shall be of sufficient size and quality and appropriately equipped for the service of the vessel and the length of time fishers live on board’, it is mute on minimum standards. Rather, it puts the onus on signatories to ‘adopt laws, regulations or other measures’ necessary to achieve this. The Convention also stipulates that food supplied to fishing boat crew is to be of ‘of a sufficient nutritional value, quality and quantity’, while all fishing vessels must have one crew member trained in first aid. Medical equipment and supplies must also be labelled in a language understood by the crew. Thailand is the 14th country globally to ratify the Convention, which came into force on November 16, 2017. Police General Adul Sangsingkeo, said Thailand’s ratification of the WIFC illustrated the country’s “full commitment to to raising the standards of labour protection for both Thai and migrant workers and eliminating forced labour, in line with the [UN] Sustainable Development Goals”. Thailand’s fishing and seafood sectors account for more than $6 billion in exports annually and employs more than 300,000 workers, some 90 per cent who are migrants from Myanmar and Cambodia. 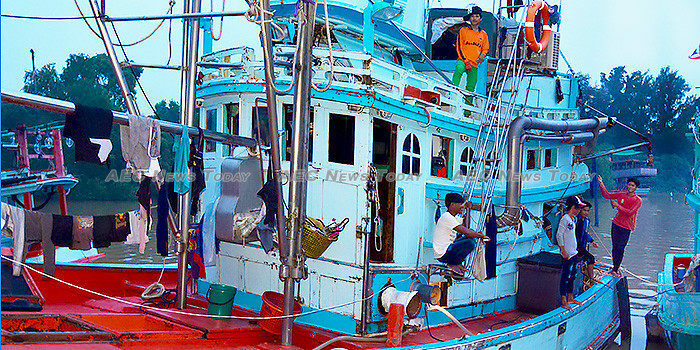 There are some 60,000 fishers employed on Thailand commercial fishing boats. The ratification of the WIFC is the latest step by Thailand to bring its fishing and seafood industries up to international standards. Last month Thailand was finally able to rid itself of a ‘yellow card’ warning it received in April 2015 from the European Commissioner for environment, maritime affairs and fisheries (DG Mare) over its failure to comply with the EUs illegal, unreported and unregulated fishing (IUU) requirements. The almost three year long battle to have the warning removed has seen a dramatic overhaul of the Thai fishing and seafood sector. Thousands of boats have been decommissioned, Port-in Port-out (PIPO) inspection centres have been established, and all boats have been fitted with vessel monitoring systems (VMS) that enable them to be tracked in real-time from a centralised Command Center to Combat Illegal Fishing (CCCIF). Thailand’s efforts to rid itself of the EU ‘yellow card’, along with a parallel national effort to improve its human rights record, has seen rapid improvements in labour practices in its fishing and seafood sectors in particular over the last three years. Last June, in conjunction with the ILOs Ship to Shore Rights Project, a Stella Maris Seafarer’s Centre and a Migrant Children Learning Centre was opened in Pattani, joining others already open in Rayong and Chonburi. 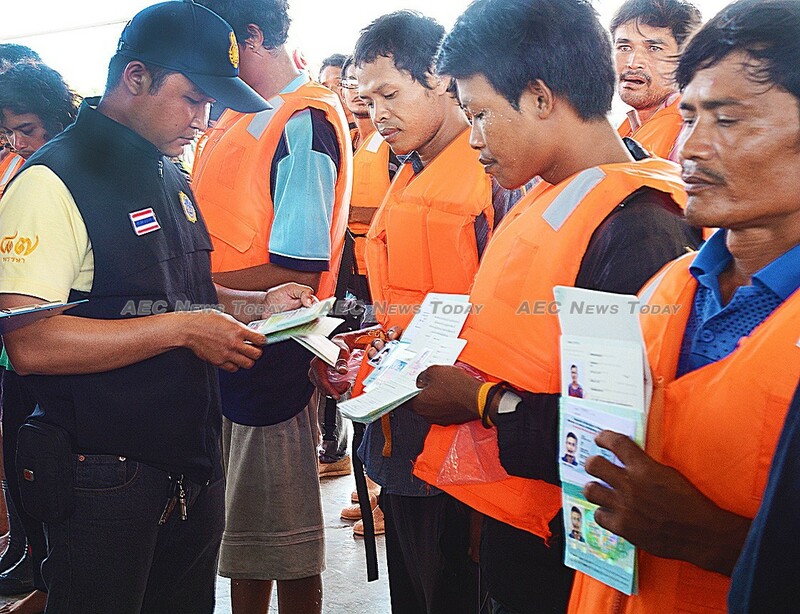 Last year a Thai government initiative saw more than 1.3 million undocumented migrant workers, the majority in the seafood and fish processing industries, registered and provided with social security, and welfare entitlements. Industry has also taken a proactive role in cleaning up the fishing and seafood sectors. In 2015 Thai Union Group (TUG), the worlds largest producer of canned tuna, cancelled agreements with suppliers it found in breach of EU-IUU fishing regulations. After an AP report in 2015 showed that its shrimp supply chain was tainted with questionable labour practices the company announced it would cease using sub-contractors. It instead brought more than 1,000 people employed by so-called ‘pre-processing’ factories in-house at a cost estimated at the time of more than $5 million.